Friday, May 22nd, 2015 - We continue celebrating Consecrated Life as Deacon Pedro speaks with Salesian Father, Michael Pace. This year, 2015, the Salesians of Don Bosco celebrate the 200th anniversary of the birth of their founder, St. John Bosco and Fr. Mike tells us how that celebration was an opportunity to re-focus their mission and in particular their call to consecrated life. Fr. Mike Pace, SDB is the pastor of St. Benedict’s Parish in Toronto. 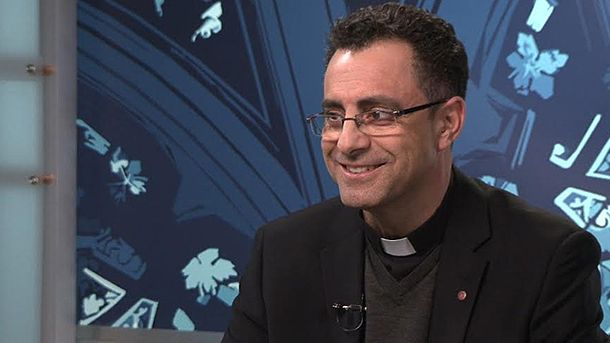 In this special edition of Perspectives, he also speaks about what it means to be a Salesian, about the idea he had of being married with four kids, how he pursued a law degree and his call to the ordained life.